Certain species of insects are very important to the health of your community garden. Known as beneficial bugs, this lot includes (contingent upon region) ladybugs, bees, wasps, dragonflies, ground beetles, lacewings, soldier beetles, and spined soldier bugs. The beneficial bugs pollinate, prey on harmful insects and are an important part of your community garden’s ecosystem. While you may be tempted to prune the foliage surrounding your garden, give it a second thought. In winter, perennials, grass and beneficial weeds serve as a second home for beneficial bugs. Many of these insects will either hibernate within and/or lay eggs. Overwintering larvae, nymphs, eggs and pupae can use the foliage to grow and hatch next spring. When they hatch and mature before aphids and other pests, your first line of defense against harmful bugs is already in place. If you’ve already started pruning, fret not, simply take what you cut, pile it up at the back of a garden bed and allow it to compost over the winter and provide the home bugs need. 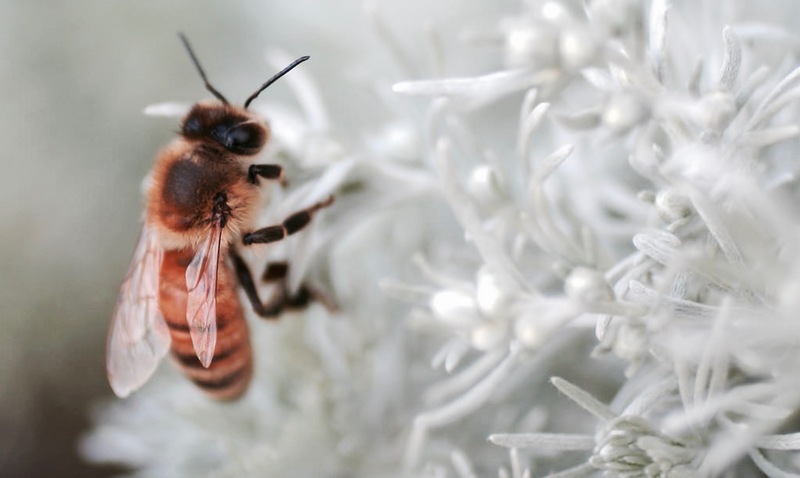 Bees and wasps are so essential to the prosperity of your urban garden that extra preparations may need to be made to keep them safe in the winter. They hibernate in their hives during the season. Observe where these hives are located in your garden environment (under the eaves of a shed, etc.). Ensure that they are not too exposed to the elements (rain, sleet, snow, or animal/human interference). If the exposure is a concern, bookend it (but don’t seal) with wood protrusions or steel mesh to block impending storms or threats. Wasps also like to seek winter shelter within eaves, fascia boards and any warm nook or cranny on site. If you don’t have a shed, consider building one before next winter to provide a home not just for garden tools, but for its beneficial inhabitants (under the roof), too. Don’t remove all of the fallen leaves of autumn from your community garden. Some make for great compost ground cover for beneficial bugs and their eggs. Do rake all leaves from fruit trees, as they contain properties than can harm overwintering insects. Non-fruit tree leaves are fine. Composting leaves from trees such as maple and oak will not only prepare your plant beds for spring (by adding organics to your soil), they provide sustenance and protection for helpful insects. Some plants and trees bloom during the colder seasons, especially in areas where winters are often on the mild side. The flowers provide sweet nectar for bees that venture out of their hive during the season. This will help them maintain their strength until they’re ready for pollinating action in the spring. Plants that thrive and bloom in the middle of mild winter include Calendula (Pot Marigold), Rosemary, Primrose, Oregon Grape, Crocus, Snowdrop and Hyacinth bulbs. These plants will keep your urban garden looking beautiful all season while keeping the bee population very happy. 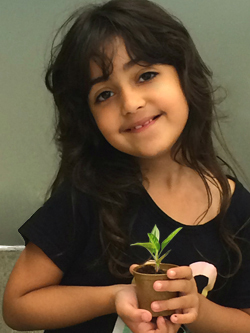 For other gardening tips and online tools for your children to learn more about sustainable living, visit the Plant a Seed & See What Grow’s Kids Corner.